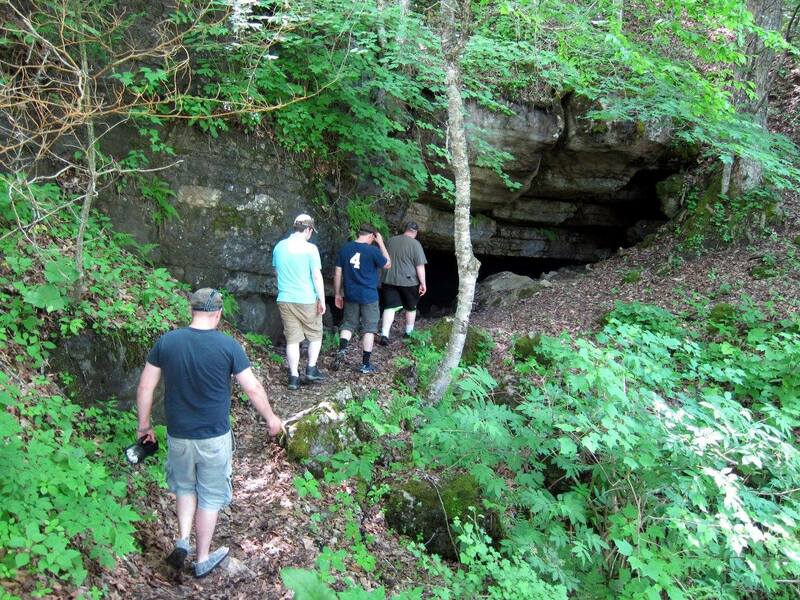 West Virginia is no stranger to caves as our natural mountain landscape is home to many of them. Some of the more intricate caves, or caverns, have even been commercialized and are open for tours. However one of the most intriguing caves to me is one I had heard about for years but never visited until recently due to its rural location. 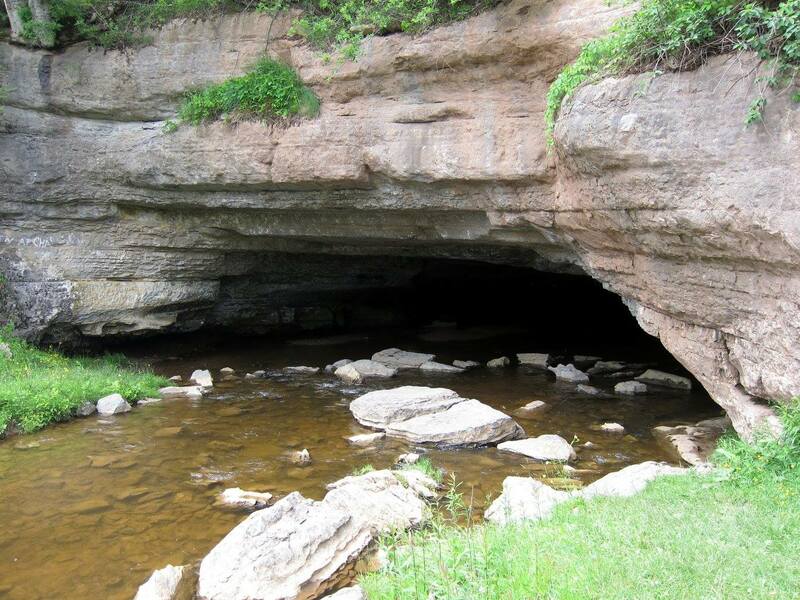 And that cave is known as the Sinks of Gandy in the beautiful countryside in Randolph County. You will not find the Sinks of Gandy on any tourist brochure, nor will you find it located on a map. In fact, if you look on a map, the only marker is a creek that disappears, only to reappear an inch later. To know it’s there, you have to know someone who’s been there — that’s how I found out about it. Modern history says that the Sinks of Gandy were discovered in the 1780s and named for landowner Uriah Gandy. 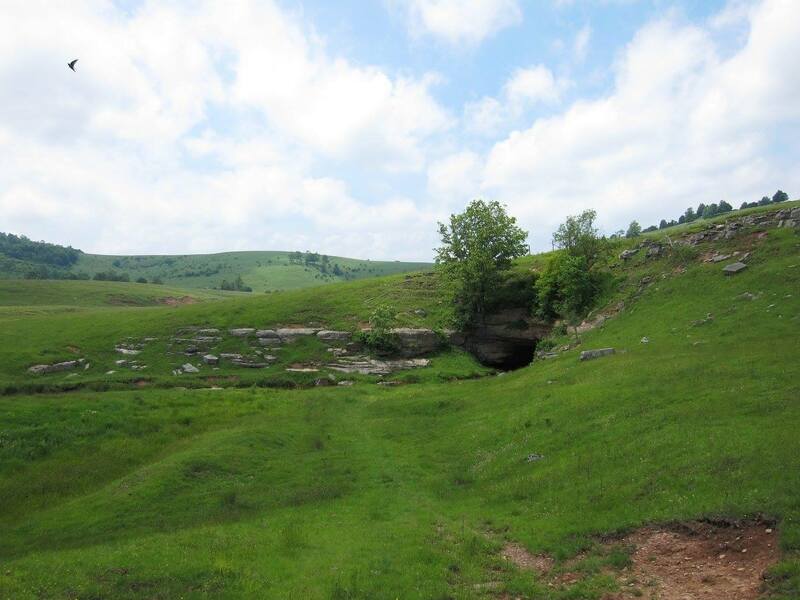 There is nothing overly unique about the Sinks, aside from it being a natural cave that which Gandy Creek flows under. The large entrance is approximately 40 feet wide and the smaller “dry” entrance is 30 feet wide but only 15 feet high. Additionally, the length of the cave is walkable with terrain varying from large rooms 100-feet in diameter to tight A-frame passages. There’s even a small lake for those trained to take a dip. Because of this, the Sinks are a favorite of amateur cave explorers and curious people like me who wish to see it what all the fuss is about. There are a handful of ways to access the Sinks, but the easiest is arguably from Route 33/55 East between Elkins and Harman. Coming from Elkins, turn right onto County Route 29, marked by a small brown National Parks Service sign announcing a turnoff for Spruce Knob and Spruce Knob Lake. Follow this road through the small towns of Job and Whitmer, continuing once it turns to gravel as you enter the Seneca Creek Backcountry/Spruce Knob Recreation Area (bonus tip: along the way you will pass some excellent fishing locations so keep that in the back of your mind if that’s your thing). 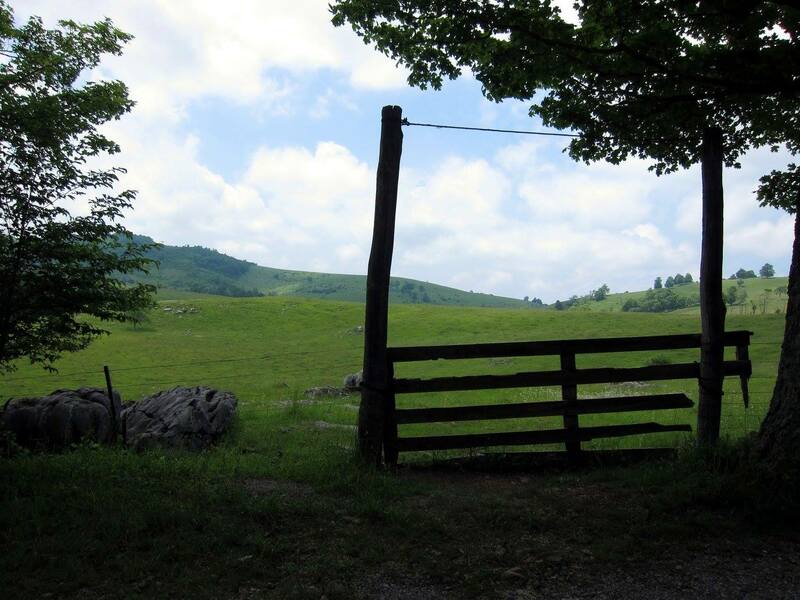 Continue driving until you reach an intersection for Forest Route 1 and Gandy-Osceola Road at which point you will drive straight onto Gandy-Osceola Road (if you take FR 1, you will drive up to Spruce Knob Lake and eventually Spruce Knob, the highest point in West Virginia). Soon the forest will give way to farm land indicating you are nearly there. Keep driving until you see the gate pictured below — this is the gateway (sorry for the pun, but I had to) to the large opening of the Sinks. You can’t see them from the road, but as you will notice in the pictures below, there is a faint walking trail through the field that takes you down to the river. The second entrance to the Sinks of Gandy, or the dry entrance, is accessible off Gandy-Osceola Road as well. If you made it to the gate previously pictured, you’ve already passed it. This signal is also a gate, but rather a small one made from two slabs of wood in the middle of flat fence. If you find this gate, there is no designated path to walk on but it will take you to the dry entrance which is the easiest to venture into. The only reason we found the dry entrance is because on our way out, we saw three men with head lamps hopping the gate and we ended up joining them. I don’t remember their names, but if you read this — thank you! Keep in mind that while the Sinks of Gandy are available to visitors, they are on private land with one entrance being owned by the Teter family and the other by the Tinglers. 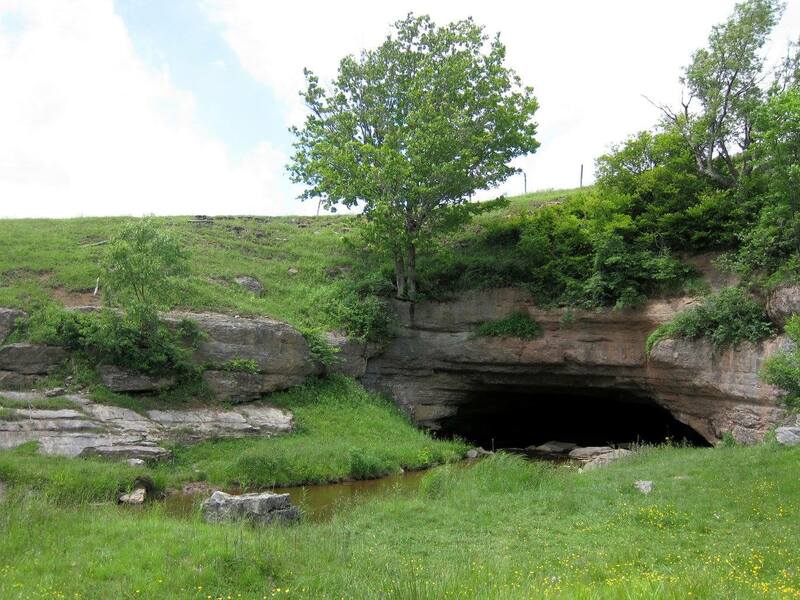 The owners are fully aware that the Sinks draw attention from spelunkers and cave enthusiasts and generally do not mind people visiting, but please be respectful and do not damage their fences/gates or the natural landscape. 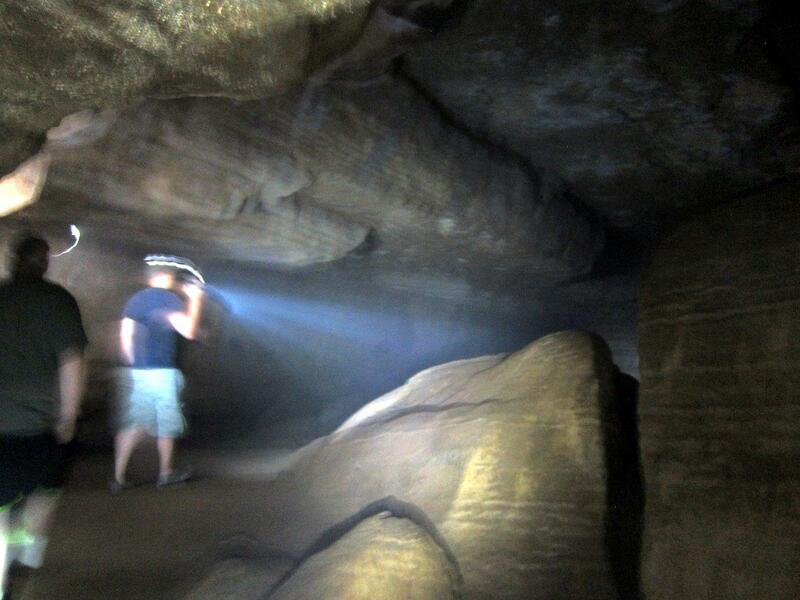 If you do decide to venture into the cave, be sure to have proper gear (flashlight, closed-toed or water shoes, and quick-dry clothing) and make sure you step carefully and watch your head as you walk. 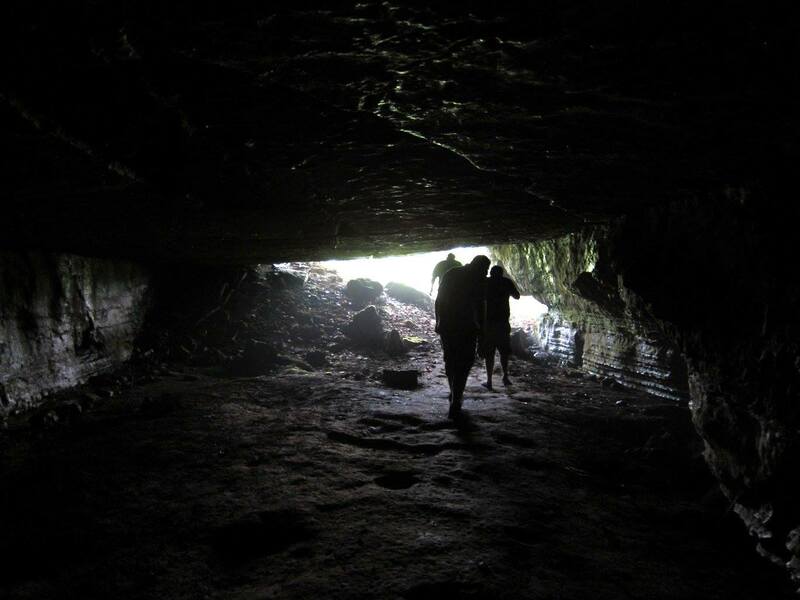 It takes approximately 1 – 1.5 hours to venture through the cave and it would be a good idea to let others know your plans and when to expect you back, just in case there is an accident. 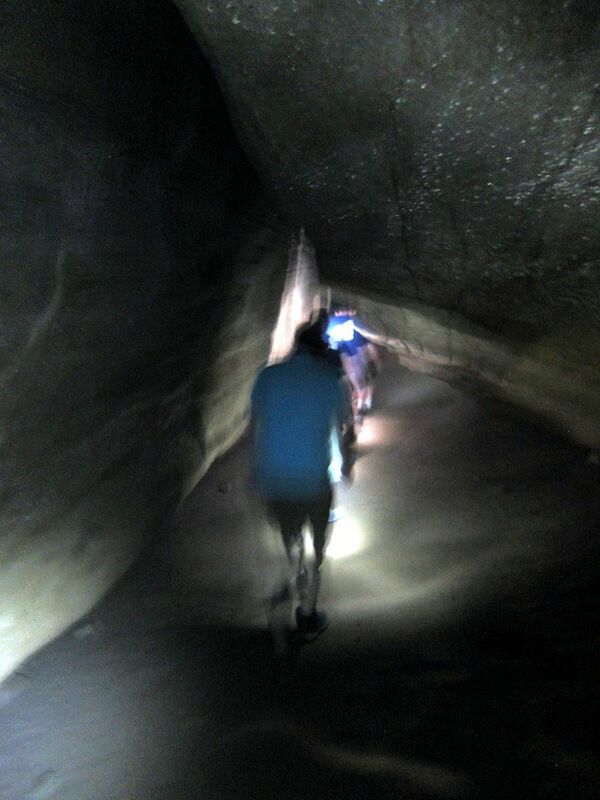 While inside, you may even come across a team of cave explorers (with wet suits and hard hats) like we did! For more information about the Sinks of Gandy, take a look at the websites below. 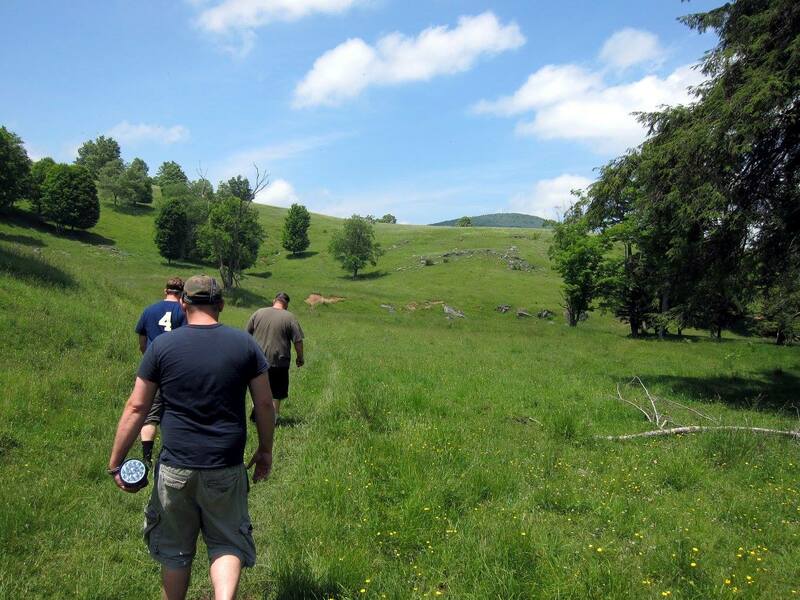 They certainly helped me when planning my route and are a valuable resource for anyone wanting to visit. Note: It will take you nearly one hour from the turnoff on Route 33/55 to get to the Sinks due to the partial gravel roads. Alternatively, you can take Dry Fork Road/CR 40 off of Whitmer Road/CR 29 to access the Sinks as well. Both routes have the same ending place and you can make a loop if you choose by taking one road down and one road back. However, we only traveled Whitmer Road/CR 29 so I cannot speak to the conditions of Dry Fork Road.